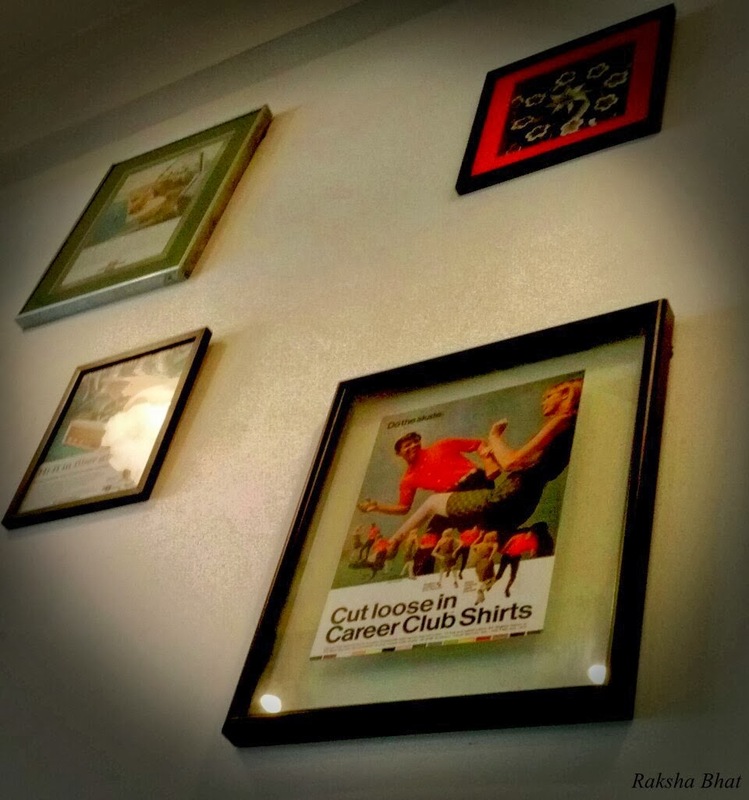 These pictures of some vintage advertisements on the walls of a popular place we friends frequent are objects of my attention. On one such occasion I couldn't resist and asked the nice chap who runs the place "Why are they there?" he smiled and replied "Hmm...I do not know". This sort of thing happens to me all the time, random and weird questions pop in the mind about things which seem very apparent and unimportant. And then I am in a different world. The walls do have so much to say. Much like life, there is so much hanging in there. And all our favorite ones. You think about them, love them, want them right there on the nail to be reminded of everyday. Slowly days pass, you look at them every morning and smile, every night and sleep. Think of all the good memories they bring and on one fine day believe me you fail to notice and forget how did it come there. But it is there, up on the wall, just an object, lonesome, no remembered reason or purpose. You may not want to keep, you may not want to throw. You once had a heart for them. You aren't sure if it is the only thing worth being there anymore, but very gradually you understand that life doesn't work like that, there are better pictures in store to be clicked, to be framed and to be nailed. Making a nice and warm place for them on your walls is all what this life is about. So much for the people, for the old and new, for those who stayed and for those who left, for the ones who matter.